General Obligation Bond C is a statewide referendum aimed at ensuring students attending an institution of higher learning or specialty school in New Mexico receive the best tools and facilities they need to excel. Your passage of GO Bond C in November will provide our colleges and universities with funding for much-needed improvements and renovations, ensuring our students receive the best education in up-to-date facilities. 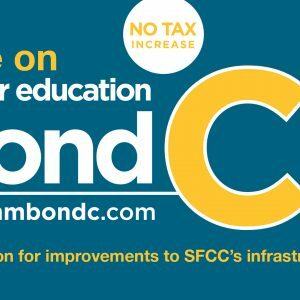 GO Bond C will help our schools provide access to the latest in technology and training, with no increase in taxes. Learn more on the GO Bond C website. And waste water treatment plan improvements.